This is a nice way to start this blog. We are giving away N500 NairaBET credit to 100 people. 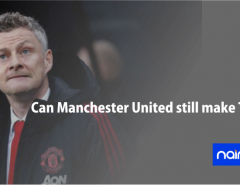 All you need to do is answer these cheap football related questions. The first 100 correct entries will get N500 into their NairaBET accounts. Drop your answers and your NairaBET username. Question 1: Who was voted the best player at the World Cup in France in 1998? Question 2: Which Nigerian clubside first won an African continental club competition? Question 3: Which ex International was nicknamed Mathematical? Drop your answers and usernames. 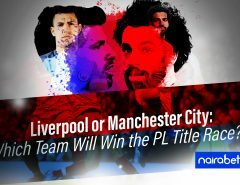 Liverpool or Manchester City: Which Team Will Win the PL Title Race? 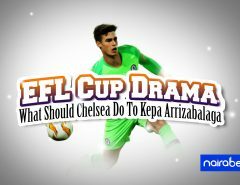 EFL Cup Drama: What Should Chelsea Do to Kepa Arrizabalaga? 1:Brazil’s Ronaldo was voted best player of France 98. 2:Shooting Stars Sports club first was first Nigerian club side to win an African continental club competition. 3: Ex international nicknamed “mathematical” was Patrick Olusegun Odegbami. 1. Ronaldo Delima Of Brazil. 2. Rangers International Of Enugu. 2.IICC SHOOTING STARS OF IBADAN. 1.Delima Ronaldo. 2.Shooting stars fc. 3.Patrick Olusegun odegbami. Question 1. Rinaldo from Brazil was the best player France 1998 world cup. Question 2. Shooting stars football club of Ibadan first Nigeria club to win continental competition in 1976. 3. Segun Odegbami ex nigerian striker. 3.Segun Odegbami was nicknamed mathematical. 3. The ex international nicknamed mathematical is olusegun odegbami patrick. 1. Ronaldo Luis Nasario De Lima.(Brazil). 2. Shooting Stars Sports Club, Ibadan. NB: Nairabet account name: dr2beee. ans 2 Enyimba International F.C. Which Nigerian clubside first won an African continental club competition? I got the newsletter email late. Q1. Brazil’s Ronaldo was voted as the best player of the 1998 FIFA World Cup. 1:Rinaldo delima, 2:Eyimba FC, 3:Olusegu Odegbami. Question 1. Ronaldo Delima from Brazil was the best player in the France 1998 world cup. Question 2. Shooting stars football club of Ibadan was the first Nigeria club to win continental competition in 1976. Question 1’s answer- Ronaldo Délima of Brazil. Question 2’s answer- Shooting Stars of Ibadan. Question 3’s answer- ‘Mathematical’ Segun Odegbami. 2. shooting Stars of Ibadan. Q1. Ronaldo Delima from brazil. 1. Ronaldo luis nazario de lima 2. Enyimba internationa fc 3. Patrick olusegun odegbami. Question 1: Ronaldo Luis Nazario de Lima. Commonly known as Ronaldo. He is a Brazilian retired professional player. Question 3: Patrick olusegun odegbami. Often shortened to Segun odegbami. He’s nickname mathematical for his precise style of playing. Answer 1: Delima Ronaldo of Brazil. Answer 2: Enyimba of Aba. Brazil’s Ronaldo Dalima was voted the best player at France 98 World cup. IICC Shooting Stars Football Club of Ibadan,now Shooting Stars Sports Club was the first team to win the African Soccer Competition for Nigeria,the mow rested African Club Winners Cup. Cheif Olusegun Odegbami,of the then IICC Shooting Stars and Green Eagles of Nigeria was nicknamed Mathematical for his mesmerizing football torches in his playing days. Answer: Ronaldo Luís Nazário de Lima (Ronaldo) from Brazil. Question 1. Ronaldo Delima of Brazil . Question 2. Enyimba United of Aba. Shooting Stars Sports Club is a Nigerian football club based in Ibadan. 2. shooting stars fc Ibadan. 2=The Industrial and Investment Credit Corporation Football Club,popularly known as IICC Shooting Stars FC of Ibadan,now Shooting Stars Sports Club, 3SC. Why are comments no longer reflecting? 1. Ronaldo de Lima of Brazil. 2. Enyimba FC of Aba. 3. Segun Odegbami. 2. Rangers F. C. of Enugu, 1977. 1. Ronaldo voted Best Player at France 1998. Answer1; Delima Ronaldo of Brazil. 1) Ronaldo Luís Nazário De Lima. My Username/account no: sulayman / 237846. (1) Zenedin Zedan (2) Shooting stars (3) olusegun odegbami . 1-Brazil’s Ronaldo (2)- shooting stars. (3)- Patrick olusegun odegbami. 2.Shooting stars fc of Ibadan. 1: At the conclusion of World cup held in France in 1998,Zinedine Zidane of ( Juventus fc) was named The World Best footballer. 2: The Rangers Intl Fc of Enugu became the First Nigerian club to win an African Continental football tournament in 1975. Answer 1, Ronaldo de Lima. Answer 2, shooting star SC. Answer 3 Patrick Olusegun Odegbami..
1. 3onaldo Delima of Brazil. 2. IICC Shooting Stars of Ibadan. 2. Enyimba Football Club of Aba. 1.Brazil’s Ronaldo has been voted as the best player of the 1998 FIFA World Cup. 2.WNDC Ibadan (Western Nigeria Development Company), and were later called IICC (Industrial Investment and Credit Corporation) Shooting Stars of Ibadan. 1. Ronaldo Selina of Brazil. 2) Shooting Stars Sports Club (3SC). 1. Rolado Delima of Samba boys of Brazil. 2) Eyimba football of Aba.